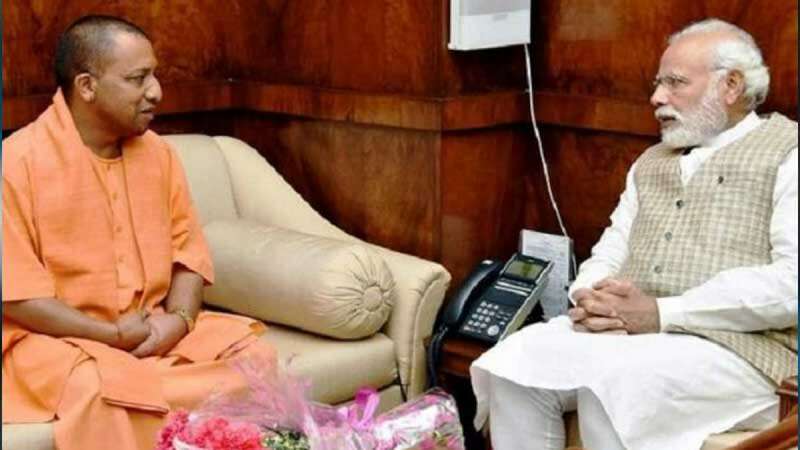 New Delhi : A group of former bureaucrats and diplomats have come down heavily on Uttar Pradesh Chief Minister Yogi Adityanath over the Bulandshahr mob violence which they said showed "perverted" fundamental principles of governance and constitutional ethics of the BJP government in the state and slammed the "stony silence" of Prime Minister Narendra Modi on the issue. "The mob violence in Bulandshahr in Uttar Pradesh on Dec 3, 2018, instigated and engineered with malicious intent, led to the cold-blooded murder of a police officer brave enough to step forward single-handedly to pacify the mob, marks the most dangerous turn yet in the direction taken by the politics of hate in recent times. "It shows that in India's most populous state, Uttar Pradesh, fundamental principles of governance, of constitutional ethics and of humane social conduct stand perverted. The Chief Minister of the state acts as high priest of the agenda of bigotry and majoritarian supremacy -- an agenda which now seems to take precedence over everything else," they said in an open letter. The 83 signatories to the letter -- including former Foreign Secretaries Shiv Shankar Menon (who was also National Security Adviser), Shayam Saran and Sujata Singh, former Ambassador and DGP Julio Ribeiro, former Special Secretary Vappala Balakrishnan, former Delhi Lieutenant Governor Najeeb Jung, Harsh Mander and Jawahar Sircar -- said in the letter that it was a measure of rapid erosion of constitutional values that they as a group had felt a compelling need to speak out about as many as nine times in the last 18 months. "The pace of erosion has been frightening and with each slip, we seem to sink further into a lawless abyss," they said. The Bulandshahr episode, which followed a succession of events aimed at isolating and intimidating Muslim community in Uttar Pradesh, showed that under Yogi Adityanath, hooliganism and thuggery have been mainstreamed into governance, not just to intimidate minorities but to teach a lesson to anyone, including police personnel and others in the administration, who dared to be even-handed in their approach to minority communities. They said there was no doubt that there was nothing spontaneous about the violence that led to the killing of Inspector Subodh Kumar Singh, nor was there any doubt as to who the political elements were that aided and abetted the violence. "This was a deliberate attempt to display majoritarian muscle and send a message to Muslim communities living in the region that they have to live in fear, accept their subordinate status and conform to the cultural diktats of the majority community." The Chief Minister refused to acknowledge the gravity of the incident and its communal intent, condemn the perpetrators of violence or direct the police to take action against them, and instead asked them to focus attention on those responsible for illegal cow slaughter, the former bureaucrats said. "The police authorities draw an equivalence between the killing of a police officer and the illegal slaughter of cows and claim that unless both crimes are investigated together, it will not be possible to come to any conclusions about the violence of the mob and murder of a colleague," they said. Turning their attention to Modi, the former civil servants said: "Our Prime Minister, who is so voluble in his election campaigns and who never tires of telling us how the Constitution of India is the only holy book he worships, maintains a stony silence even as he sees a Chief Minister handpicked by him treat the same Constitution with sheer contempt. "It is evident that for the Sangh Parivar, constitutional morality is of no value, and is necessarily subordinate to the ideals of majoritarian supremacy." They asserted that never before in recent history had the politics of hate, division and exclusion been so dominant and the poisonous ideology, which had penetrated deep into the body politic. "This is a crucial moment and we can't take it lying down anymore. We call upon all citizens to unite in a crusade against the politics of hate and division -- a politics which aims to destroy the fundamental principles on which our republic is founded." They urged the citizens to demand the resignation of Yogi Adityanath for his failure to abide by the Constitution to which he has sworn his allegiance and to remind the Chief Secretary, DGP, Home Secretary and all other members of high civil services concern of their constitutional duty to fearlessly implement the rule of law rather than to perverse diktats of their political masters. They also urged the Allahabad High Court to take suo motu cognisance of the Bulandshahr incident and order a judicial inquiry supervised by them to uncover the true facts, expose the political collusion, fix responsibility and recommend action.